Clean lines dominate the theme of this kitchen and the radius end cabinets provide clean transition in the space. The contemporary track lighting provides a visual accent and enhances the kitchen with ample lighting. 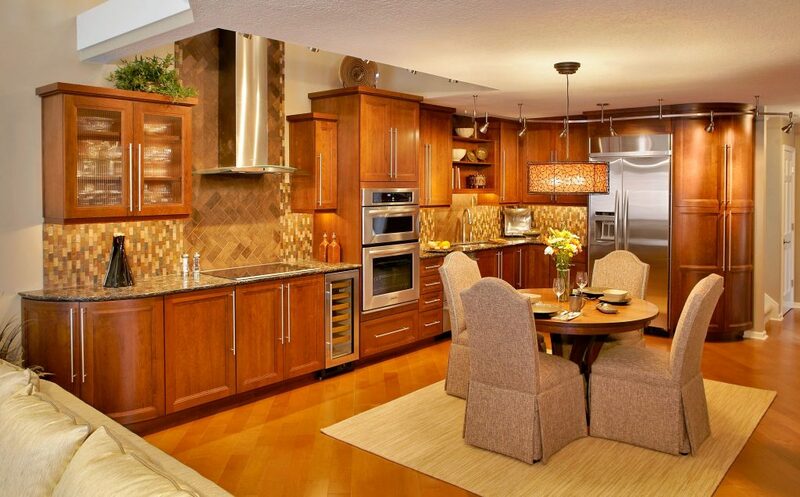 We love how the cut-away in the kitchen ceiling introduces the kitchen to the second floor.